Can’t seem to get out of your own way? You’re not alone. Fortunately, there’s something you can do about it. In this episode of The Brain Warrior’s Way Podcast, Dr. Daniel Amen and Tana Amen describe the hallmarks of those that suffer from self-sabotage. Learn what the causes are for self-defeating behavior, as well as methods to change this behavior to become your own best advocate instead of your own worst enemy. Tanna Amen:	And I'm Tanna Amen. Here we teach you how to win the fight for your brain, to defeat anxiety, depression, memory loss, ADHD, and addictions. Tanna Amen:	The Brain Warrior's Way Podcast is also brought to you by Brain MD, where we produce the highest quality nutraceutical products to support the health of your brain and body. For more information, visit BrainMDHealth.com. Welcome to the Brain Warrior's Way Podcast. Welcome back. Today, we're gonna talk about self-sabotage. So I recently did a live chat on Facebook and I didn't realize what a nerve it was gonna touch. So, you know we've been doing some coaching. We sort of adopted a family this year and it's been ... Let's just say it's been a process. And so anyways, there's been some things going on and the question keeps coming up for me, why do people do things they know are gonna sabotage their success? And we know several people in our lives. I certainly know a bunch of people where I'm like ... You look at yourself and you're like, why? Why do they do that when they know it's not going to be a good outcome? And I didn't realize what a nerve it was going to touch. I got a bunch of people writing in to me in my private inbox and wanting to have someone from the clinics call them, not understanding why they do the thing they do. They don't want to do them, but they do them. Very negative behaviors. So let's talk a little bit about that, because I think people are suffering. Dr. Daniel Amen:	So, you know I just finished my 46th book and people go, "How'd you do that?" And I went, "I'm old, and I'm consistent." Dr. Daniel Amen:	I've been writing for a long time. Tanna Amen:	You are consistent, for sure. 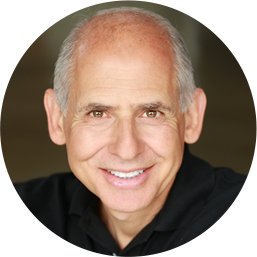 Dr. Daniel Amen:	My first book was in 1982, "Secrets of Successful Students." 100,000 copies that sold last year in Mexico. My second book, in 1986 was called, "Sabotage Factor. How to Get Out of Your Own Way." What are the things people do that mess up their lives? So I've been thinking about this for a long time. Tanna Amen:	And is there a why in there? Dr. Daniel Amen:	There's a why the brain hates change. So you want to be very careful of the habits you allow in your life because the more you allow in your life, the more they become part of your life. Tanna Amen:	And what about things like head injuries? What role do some of these things play? Because that's what we do here, right? Tanna Amen:	Right. Lyme disease. Dr. Daniel Amen:	I had one woman, recently. Her brain showed really low activity. She had open heart surgery when she was a baby. Dr. Daniel Amen:	When she was a baby, which then lead to learning disabilities because she had lower overall blood flow to the brain, so the first hallmark of self-defeating behavior is having a brain that doesn't work right. And if you never look, you never know and that's why the imaging work here is so important. Dr. Daniel Amen:	The second hallmark of self-defeating behavior is you blame other people for how your life has turned out. Tanna Amen:	Being a victim. Dr. Daniel Amen:	Yeah. Because whenever you're a victim ... It's my wife's fault. It's my bosses fault. It's my child's fault. It's Trump's fault. You can't change anything. Tanna Amen:	You just opened a whole can of worms. Dr. Daniel Amen:	Well, no. Whatever your political thing, this thing that happened in Hawaii that we talked about ... Right? Celebrities are tweeting, it's because Trump provided this toxic environment. It's like, no, probably the guy didn't sleep and made the mistake. But whenever you blame someone else for the problems in your life, you become a victim. Tanna Amen:	And victims can't win. Dr. Daniel Amen:	And you can't change anything, because it's not your fault. And I love what you say. We say it all the time, that taking responsibility doesn't mean it's your fault. Tanna Amen:	Doesn't mean blame. Dr. Daniel Amen:	It means your ability to respond to this situation. Dr. Daniel Amen:	And so brain, and blame, and then not being effective. Not having a plan. Dr. Daniel Amen:	So if we think about the person that we helped, some really simple things that she didn't know how to do. Tanna Amen:	Yeah. It's interesting. They seem simple to us, but to someone who doesn't know, or has no exposure to doing any of this stuff would have never ... She would have never really gotten it on her own. So getting help, I think, is really important if you're struggling at that level. Dr. Daniel Amen:	So having a plan. Dr. Daniel Amen:	It's effective. So vetting the plan with other people who've actually done what you want to do. Tanna Amen:	Yeah, I think having a mentor and a role model? Huge for success. Dr. Daniel Amen:	Who you hang out with is really important. Tanna Amen:	Tony Robbins has a saying that I love. I adopted it when I was in my early 20s when I was struggling. Success leaves clues. And so, if you find successful people that you want to ... You want to accomplish some of the things they've done, or you want to be like them, success leaves clues. Watch what they do. Right? Tanna Amen:	So much so that the olympics usually visualization techniques. Tanna Amen:	In fact, they say they're not allowed to visualize any mistakes, because practice, you can't do 100% perfectly. Visualization you can do 100% perfectly. So when they're visualizing, when they have coaches that are doing the visualization with them, if they make a mistake they make them rewind it like a tape going backwards until they get it perfect. Dr. Daniel Amen:	And they want to go slow initially, to do that, so they really understand the steps. Dr. Daniel Amen:	People who sabotage them, repeat their mistakes. And they never study their mistakes. We know you're gonna make mistakes. We make mistakes all the time, but successful people think about their mistakes. Dr. Daniel Amen:	They study their mistakes like basketball players. I was gonna use football, but I'm like, "No, let's not use football." They watch film. Tanna Amen:	Over, and over, and over. Dr. Daniel Amen:	-this is why we lost the game. And so they think about it. They don't just deny it and hope it will be better going forward. Tanna Amen:	They're gonna keep doing the same thing, even if it's wrong. Dr. Daniel Amen:	Right. They have trouble making decisions or they make impulsive decisions, right? And what we learned is if you don't sleep enough, you're more likely to say that nasty thing to your spouse that you shouldn't have said. You're more likely to eat something you really didn't want. Tanna Amen:	You're also more likely to get in a car accident. Dr. Daniel Amen:	You're more likely to get into a car accident, communication problems, being insensitive to others, having [inaudible 00:08:12], and then important things. Like you don't have the energy to do it, because your thyroid's not right. Tanna Amen:	So hormones can play a big role. Your blood work. Really important to have those things checked. You can't change what you don't measure. Can't change what you don't know. Dr. Daniel Amen:	And then persistence. Dr. Daniel Amen:	It is so important. So many people ... I mean, I have 10 best sellers, and I think my first book was rejected about 30 times. Tanna Amen:	Right? It's one of the things I love about martial arts, is it requires persistence. Dr. Daniel Amen:	Right. Now you don't want to go so far as to be a stalker, because stalkers are persistent. 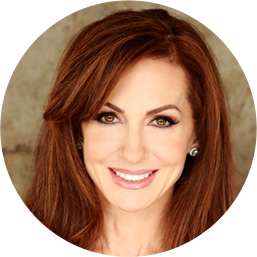 Dr. Daniel Amen:	Right, so not all persistence is good. Dr. Daniel Amen:	-to give up. It's like, "Okay, this isn't going in the right direction." Tanna Amen:	Let's go back to martial arts, okay? That kind of persistence is really good. It requires a tremendous amount of focus and it requires being okay doing it wrong, repeatedly, until you fix it and get it right. Dr. Daniel Amen:	-keep doing it wrong, what happens is the brain learns how to do it wrong. Dr. Daniel Amen:	And will make it harder to do it right. Tanna Amen:	That's a really good point. Tanna Amen:	Really good coaches. Tanna Amen:	So good they're not afraid to tell you, "Do it again. Do it again." Like, "Do it right." Dr. Daniel Amen:	Like do it again right. Dr. Daniel Amen:	Do it again right. Because there's this thing in the brain called long-term potentiation. Dr. Daniel Amen:	And the more you practice something ... So initially, the brain makes sort of a soft connection when you learn something new. I'm learning the piano and having so much fun at it. Learned how to play, "Don't Worry, Be Happy." And I had to do it over, and over, and over again. Tanna Amen:	That so fits you. Dr. Daniel Amen:	And if I keep practicing it wrong, then my brain will automatically be doing what's wrong. I need to practice perfectly in order to make those perfect connections in my brain. Tanna Amen:	So in the book, "The Talent Code." It's a really good book. In the book, "The Talent Code." They talk about that. So you have to go back and slow down to the point ... Do it so slow, in slow motion, until you get it right, right? So you have to be willing to ... But they make a big point that the best people in their fields, whether it's the violin, dance, whatever it is, okay? Martial arts, sports. The people who are the best, they actually studied this. They're not afraid to look foolish or stupid, or make mistakes in the beginning, and they're not afraid to go back and slow it down, and look silly doing it, to get it right. So, that was one of the big differences between them and people who were mediocre. Because they didn't want to do that. They didn't want to look funny. They didn't want to look silly. So, being willing to do that. Being willing to, "All right. I'm willing to let it be worse before it gets better, in order to be great." Dr. Daniel Amen:	So, step number one, take care of your brain. Optimize your brain. And then it has to be programmed right, with the right information and strategies. And if you self-sabotaged a lot, welcome to normal. Now is a good time to try a different way. Tanna Amen:	And get help, if you need help. If you really suspect ... Like if you've had a head injury, or you suspect there's something going on chemically, or you've got an imbalance, this is the time to get help. If you see the pattern, that you've been doing the same thing and you just can't seem to get out of your own way, you might need some help. Dr. Daniel Amen:	Stay with us. Thank you for listening to the Brain Warrior's Way podcast. 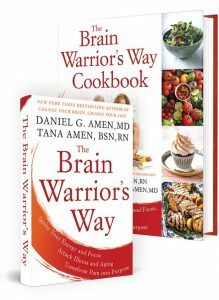 Go to iTunes and leave a review and you'll automatically be entered into a drawing to get a free signed copy of the Brain Warrior's Way and the Brain Warrior's Way cookbook we give away every month. ← How Do You Nurture Relationships With Ones Closest To You?